We've all heard the phrase - "If you can't stand the heat, get out of the kitchen." Well, with your job, that's not an option. In fact, when it starts to get hotter, you need to add a layer of work clothing, not take one off. If this sounds like your workday, you ... (see full details) (see specifications) #REVF2-30C. We've all heard the phrase - "If you can't stand the heat, get out of the kitchen." Well, with your job, that's not an option. In fact, when it starts to get hotter, you need to add a layer of work clothing, not take one off. If this sounds like your workday, you should try the Black Stallion Men's F2 30 C Welding Flame-Resistant Green Work Coat. The Black Stallion coat features a nice sea-green color. The men's coat is made of 12-ounce cotton that provides lightweight and breathable protection. This work jacket is washable for up to 50 home launderings without losing its flame-resistant property. In addition this workwear also meet the ASTM 1506 standards, so you know you completely protected. Revco uses only trusted fire-resistant treated cotton fabrics. These cotton fabrics are durable and reliable. 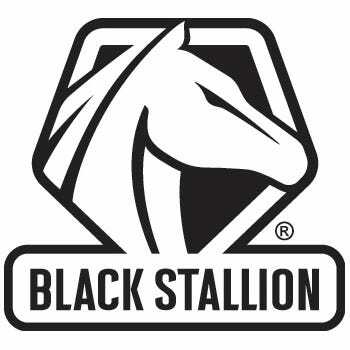 Black Stallion is a division of Revco Industries. All of Revco's protective apparel is constructed using durable rust-free snaps. The tough snaps are reinforced with a leather backing to prevent ripping of the men's garment. This premium workwear is equipped with a adjustable wrist snaps to help customize the fit for you. In addition, there's a large pocket on the inside that can hold all your essential belongings. We know that no matter how well your day at work goes, you won't stay cool. That just isn't in the cards for a welder, but it can go a little better with a Black Stallion Men's F2 30 C Flame-Resistant Green Coat. Order this exceptional workwear online from the Working Person's store today. Don't forget to have it embroidered by us too! I bought this as my first welding jacket and I caught so much flack in the shop for having a mint colored jacket that I said once it wore out I would replace it. I am two years into this jacket and it is still holding strong and I don't see a new one in my near future so now I am just called minty fresh. Black Stallion Coats: Men's F2 30 C Flame-Resistant Green Welding Coat is being added to your cart.